Why settle for cheap carpet that doesn’t last when you can get more for your money at Portland Flooring & Carpet of Tigard? 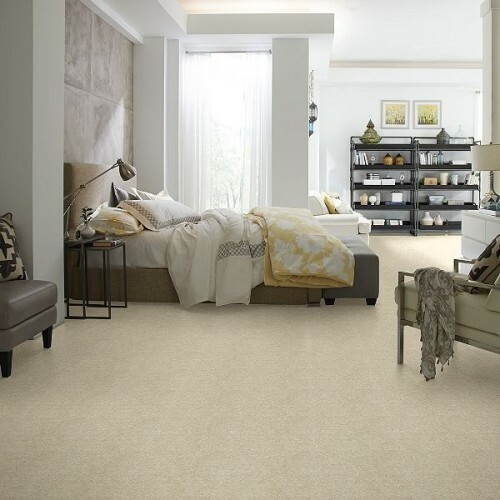 The broadest selection of carpets at affordable prices can be found from Portland Flooring & Carpet of Tigard. For your convenience we have vans running all throughout the Tigard, Clackamas, and Portland Vancouver area daily. Have one of our estimator-design consultants ‘bring the store to you.’ Our estimators are both friendly and knowledgeable. Aside from providing you with a carpet measure, they are very knowledgeable about the various types and brands of carpets as well as the various fiber types. Our estimator-design consultants will help you select the carpet that’s just right for you! Or, if you prefer, visit our Portland Flooring & Carpet & Tile flagship carpet showroom in Portland, Oregon. Either way you can expect to see a huge selection of carpets from all major carpet brands. From sophisticated patterns to colorful solids, our carpet styles are available in a wide range of shades, tones, and hues. We are constantly on the lookout for opportunities to buy good quality carpet at below market prices. We offer the finest carpet buys, including numerous designer colors, patterns and textures, to help you find the perfect carpet for your home, rental or office. Call (503) 388-6070 or fill out our online form to schedule with a design consultant–estimator. Or visit our showroom to see our huge array of colorful carpets. Take home as many carpet samples as you need. When you find the right carpet for you, we can install it for you! We make it easy for you to color your life with new carpet in every room. At Portland Flooring & Carpet of Tigard, you cut out the middle-man and get direct savings. We can even beat our competitors’ prices with our Low Price Guarantee. Portland Flooring & Carpet of Tigard offers carpeting designed for durability and that will last for years. To top off a great deal on your new carpet, we provide installation, often times within 48 hours to accommodate our customers. You can expect to get more for your money from Portland Flooring & Carpet of Tigard. Carpeting adds warmth and is soft under feet and easier on children’s knees. Carpeting is much quieter than hard surfaces floors. Carpeting comes in a wide variety of color tones and hues. Carpeting is easy to decorate with and offers many solid color tones for rooms with patterned wall coverings. Carpeting can hide many sub floor irregularities that would not be permitted with hard surfaces floors. Carpeting can go over a variety of substrates and on all grade levels, even concrete slabs in basements. Carpeting is economical and the installation costs are much less than some of the hard surface products. Carpet manufacturers today offer consumers a wider selection of patterns, textures and colors than ever before. Advancements in fiber technology and carpet construction are making carpets softer, more stain-resistant and helping carpets retain their like-new appearance far better than ever before. Berber carpets, patterned carpets and textured cut pile Saxony’s are among the most popular choices with homeowners today. Even carpet cushions have dramatically been improved. Carpet cushions are now available that will block spills from penetrating the cushion and soaking into the sub-floor as well as eliminating odors in your carpet. Portland Flooring & Carpet of Tigard offers you a wide selection of carpet. From sophisticated patterns to colorful solids, our carpet styles come in a rainbow of shades, tones and hues. We buy carpet by the truckload, so there is always a huge choice that will make finding the best carpet easier and more enjoyable. The way carpet is made determines its style and also determines whether it will fit your lifestyle. Style names like plush, textured and frieze indicate what the carpet is composed of, how durable it is, and whether it will show traffic patterns or footprints. At Portland Flooring & Carpet of Tigard, you can learn all about carpet styles and speak to a professionally trained sales person who will help you choose the right carpet style for your home, rental, or office. Browse our selections online and call or fill out our online form to schedule a complimentary in home measure and design consultation. Today’s carpet styles, colors and textures blend well with any room decor as well with a variety of other flooring products. From casual to formal you can always find a carpet style that will enrich any interior setting and your lifestyle. There are carpets for all areas of the home including active areas where fashion and function are both important in your selections. For these high-traffic areas, you want carpeting that can stand up to tough treatment. Portland Flooring & Carpet of Tigard has high performance carpet that is as durable as it is fashionable. So you can walk confidently on your new carpet knowing it will remain like new for years. Our friendly professionals at Portland Flooring & Carpet of Tigard know how to help Northern Oregon and South West Washington businesses look their best. Our professionally trained sales staff can help you find the best carpeting without breaking the budget. Find everything you need in a new carpet, from high performance that will stand up to the harshest treatment to lavishly textured carpets for any room. Whether you need to impress or just get your job done, you deserve the best carpet at the best price. Call (503) 388-6070 or fill out our short online form to schedule an estimate today! Advancements in fiber technology and carpet construction are making carpets softer, more stain-resistant and helping carpets retain their like-new appearance far better than ever before. Berber carpets, patterned carpets and textured cut pile saxony’s are among the most popular carpeting choices with homeowners today. Portland Flooring & Carpet of Tigard, where quality is affordable, and has been the Tigard mobile carpet store of choice since 1995.